6LACK came through Chateau Marmont in Los Angeles to celebrate his Grammy Award nomination. The artist's J. Cole-featured “Pretty Little Fears” was selected for the Best Rap/Sung Performance category. Interscope and LVRN commemorated the achievement with an invite-only soirée in partnership with Variety and the Louis XIII cognac brand. 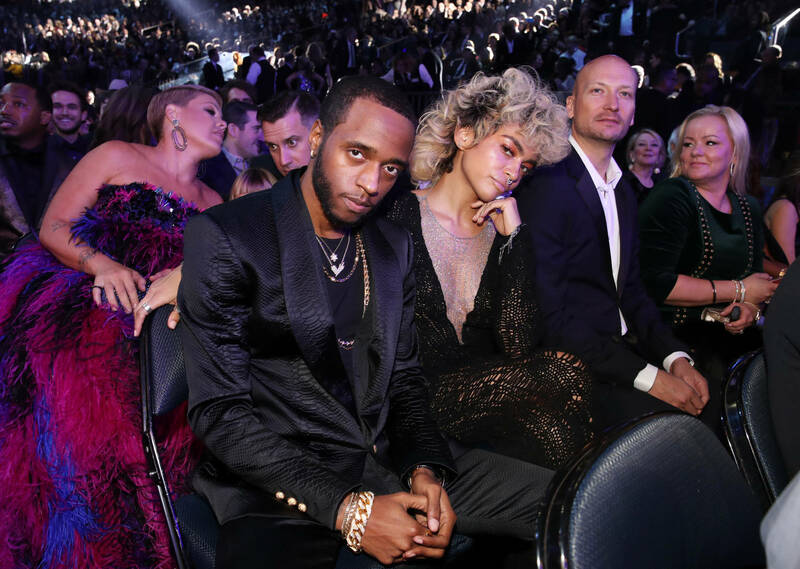 I'm just glad people can connect and relate, and appreciate something that I put time into,” 6LACK said. “Your friends congratulating you is one thing, but when people you don’t know or people you didn’t grow up with congratulate you, it’s another addition. It’s another plus. "It has to be a big deal because I left my daughter at home for a second,” 6LACK cracked .“I’ve been with her all day. It’s like icing on the cake, on top of just having a great year, putting out an album that I love, and now we get to celebrate." "When I play her my songs, she chills out, listens, bops her head," he added. "Her favorite song is a song I didn’t release. It’s named after her. Whenever she’s running around too much, I’ll play her the song and she’ll stop, freeze, sit down." The Grammy Awards will air live from the Staples Center CBS this Sunday at 5 p.m. PT/8 p.m. ET.